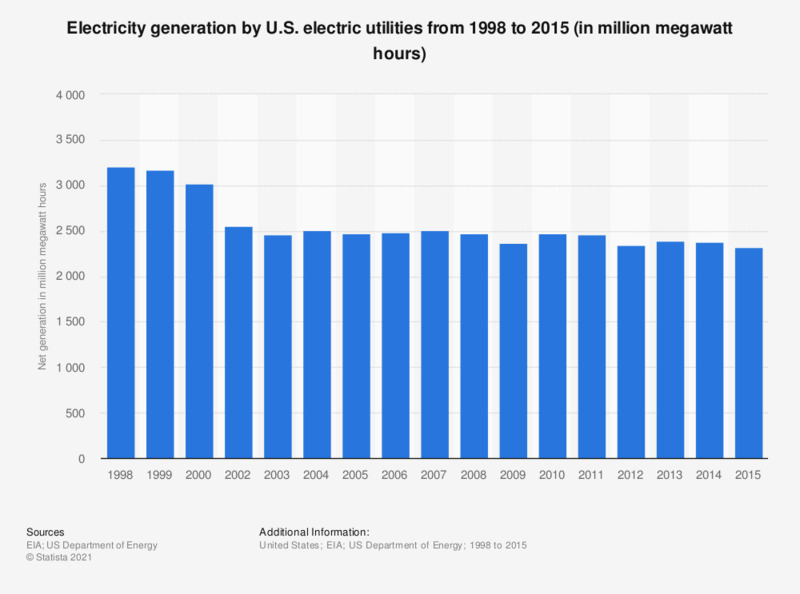 The statistic shows the power generation by electric utilities in the United States from 1998 to 2015. In 2015, U.S. electric utilities generated approximately 2.3 billion megawatt hours of electricity. Figures have been compiled from several editions of the report.